When anti-legalization campaigns create ads to try and put an end to a citizen’s initiative during election time, things can get a little out of hand. Those opposed to legalization will, in most cases, say literally anything to try and persuade you not to vote for a legalization initiative – and in the state of Arizona, that turned out to be a pretty big mistake. 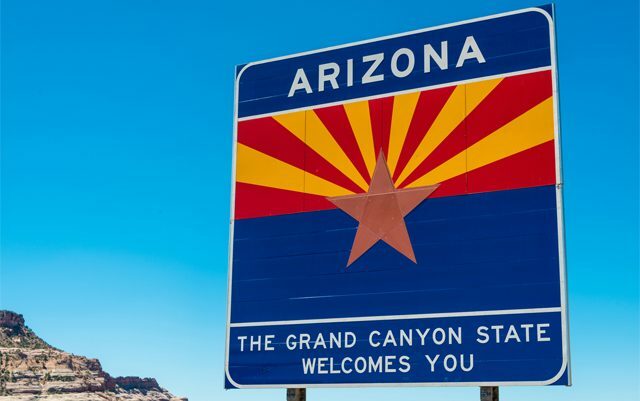 The group Arizonans for Responsible Drug Policy have released a number of different videos and television ads against Proposition 205, which aims to regulate marijuana in a similar fashion to alcohol. However, some of the claims that they made about Colorado’s cannabis industry have been questioned from the beginning – and now Colorado lawmakers are calling them out on their lies. State Representatives Jonathan Singer and Millie Hamner, as well as Senator Pat Steadman, of Colorado sent out an e-mail recently to the leaders of Arizonans for Responsible Drug Policy asking politely that they pull the ads with misleading – and in some cases outright incorrect – information off the air and off the internet. They cited two specific videos made by the No on Prop 205 group, one titled “Empty Promises” and the other titled “Mistake”. In the “Empty Promises” video, you find a former Colorado school official stating that they were promised millions in revenue for the schools but it was “empty words” – as well as a principal claiming that state officials spend more on regulating the plant than they do on the schools. It also eventually tries to claim that marijuana use among teens in Colorado has soared since legalization. In the video “Mistake”, you see a former Denver Mayor also saying that more is spent on the regulation of the industry than is being given out to the schools. As a way to put an end to these claims, these three Colorado officials, who have worked closely with the budget regarding tax revenue from the cannabis industry, included attachments that clearly laid out where all of the money has been going. The documents prove that, since 2015, Colorado schools have received over $138 million for funding, which has been split amongst programs for the building and repair of schools, a fund that increases the availability of healthcare professionals at schools, as well as other health related programs, drop-out prevention programs and anti-bullying programs. That $138 million given to these different school funds was well over half of the $220.8 million that was made in tax revenue from the cannabis industry since 2015. On top of all that, they also cited that $1.5 million goes to the Department of Health and Environment for the Colorado Healthy Kids Survey – which is crucial to them knowing how teen use has been affected by legalization – and they have found that it has remained very much the same since 2009, long before legalization. And actually, since they implemented the legal cannabis industry, teen use rates have actually dropped a small amount. We respectfully request that you stop airing or otherwise publishing campaign ads that contradict these facts. We also trust they will be reflected in any of your future communications to Arizona voters regarding Colorado’s experience with regulating and taxing marijuana for adult use. Hopefully, after receiving this e-mail, the No on Prop 205 campaign will try a new angle if they really want to make any impact at all. These lawmakers in Colorado are trying to prove a point – cannabis legalization has benefitted their state, and people are outright lying about that in these ads (which also attempt to make Colorado look bad). Hopefully, not many people will be fooled by these ads – and perhaps Arizonans for Responsible Drug Policy will be kind enough to retract the videos on YouTube, pull them from television and realize that their lies will not be tolerated.